6'5" (1.95m) Justin James "J. J." 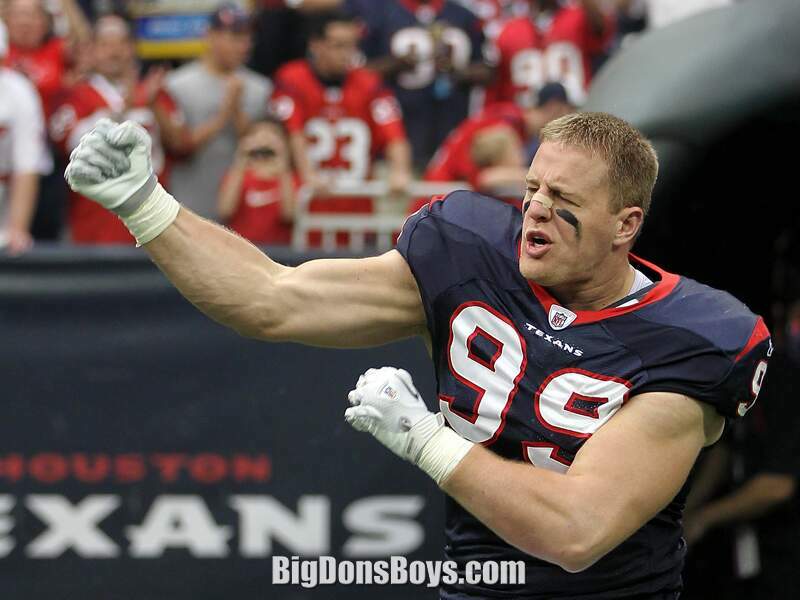 Watt (born 1989) is an American football defensive end for the Houston Texans of the National Football League (NFL). He weighs almost 300 pounds (134 kg)! 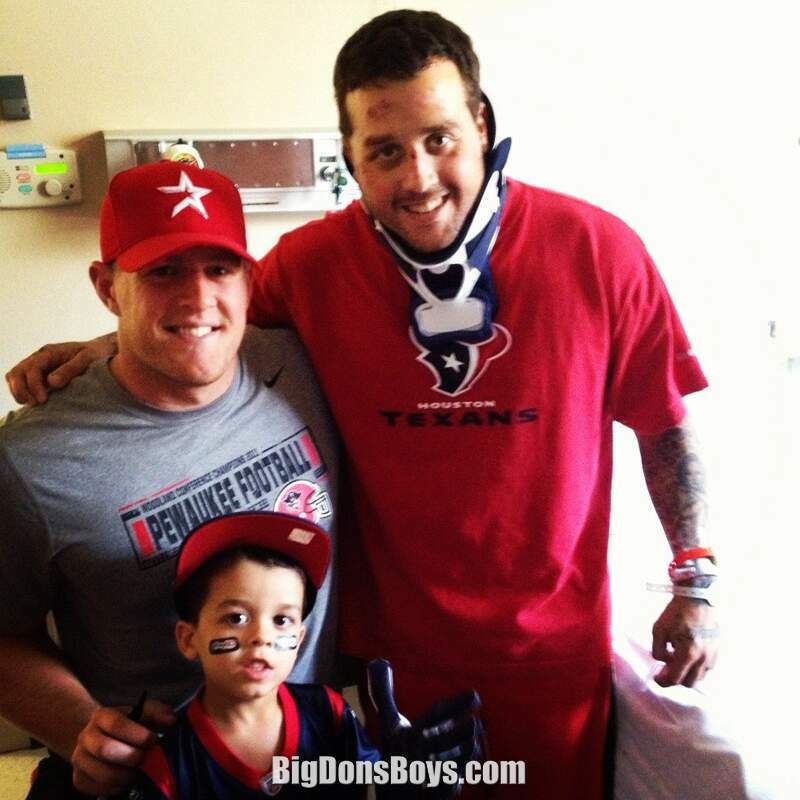 He played college football for the University of Wisconsin and was drafted 11th overall by the Houston Texans in the 2011 NFL Draft. Watt was born in Waukesha, Wisconsin. He attended Pewaukee High School in Pewaukee, Wisconsin. He played both defensive end and tight end. 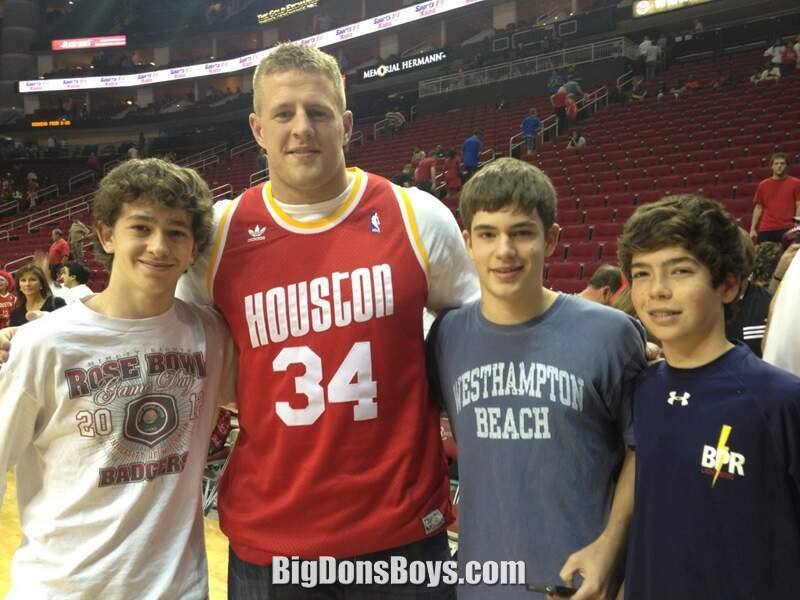 Watt also lettered in baseball, basketball, and track during his high school career. As a senior, Watt was state champion in the shot put. In addition, he played (ice) hockey for ten years between the ages of 3 to 13 before he quit and eventually became a multi-talented student athlete in the four other sports listed above. 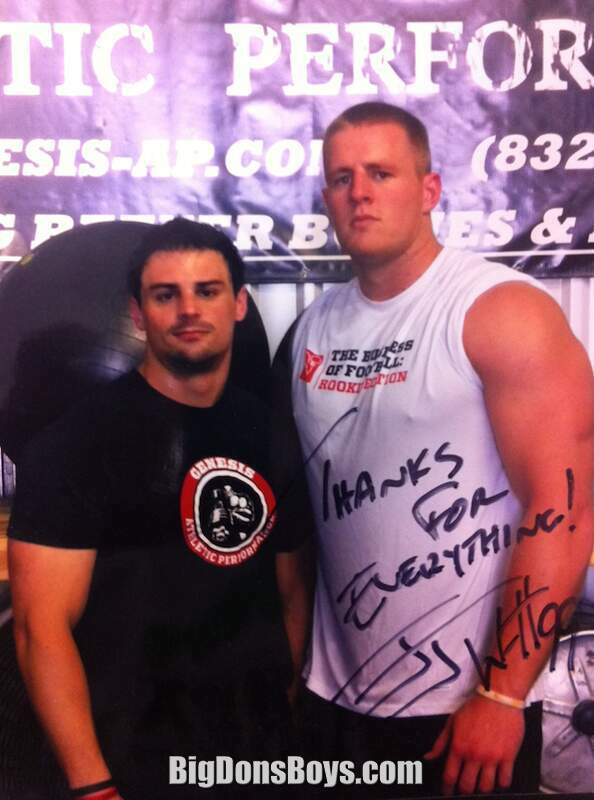 He has two younger brothers, Derek Watt, who currently plays for Wisconsin, and TJ Watt, who on February 6, 2013 signed his letter of intent to play at Wisconsin. Watt attended Central Michigan University for one year in 2007. While there, he played tight end and caught eight passes for 77 yards. Frustrated by his lack of direction at Central Michigan, he transferred to Wisconsin. During this time he began delivering pizzas and had a somber encounter with a fan, where he regained his focus, telling himself, "I don't want to be delivering pizzas. I want to be playing football." 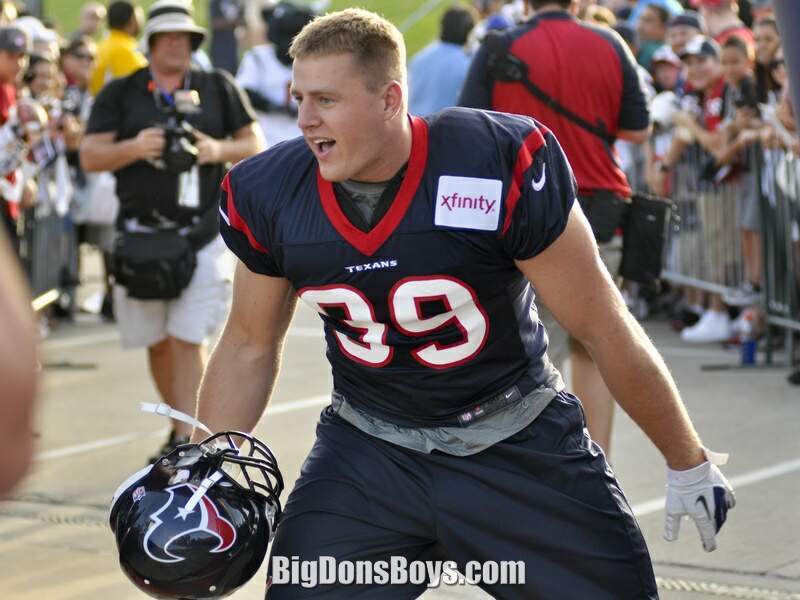 After being redshirted in 2008, Watt started all 13 games at defensive end in 2009. He finished the season with 44 tackles and four sacks. 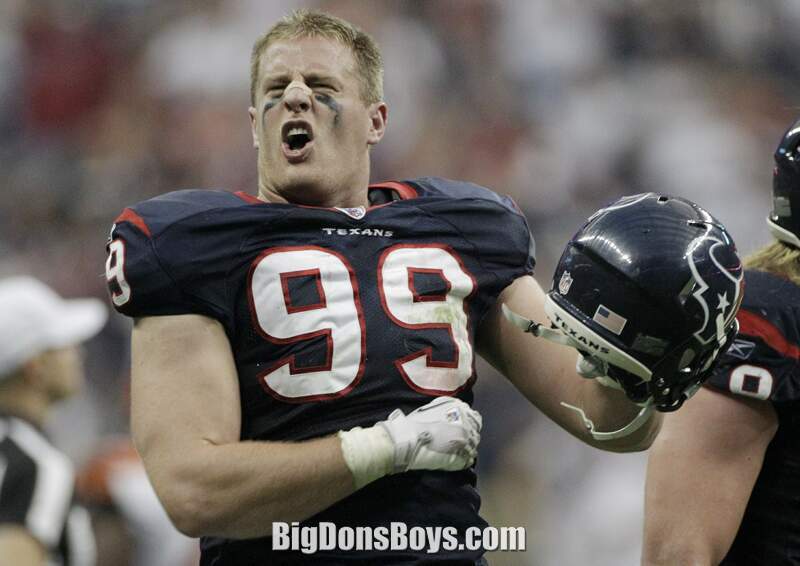 In the 2010 season, Watt finished the regular season with 59 tackles, seven sacks, two fumble recoveries, and an interception. 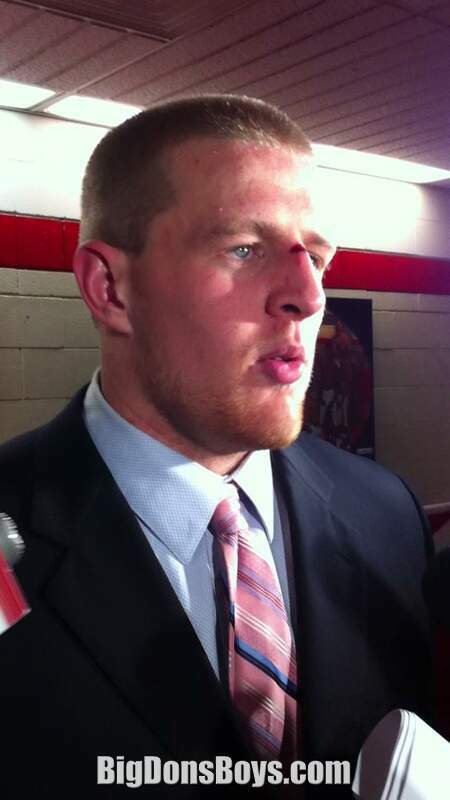 Watt was the 2010 recipient of the Lott Trophy and was a finalist for the Ted Hendricks Award. 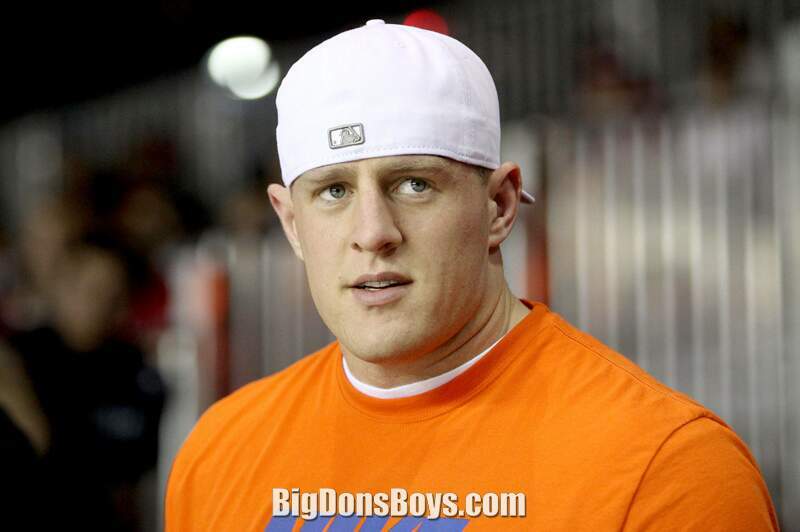 On January 6, 2011, Watt announced that he would forgo his senior year of college to enter the 2011 NFL Draft. 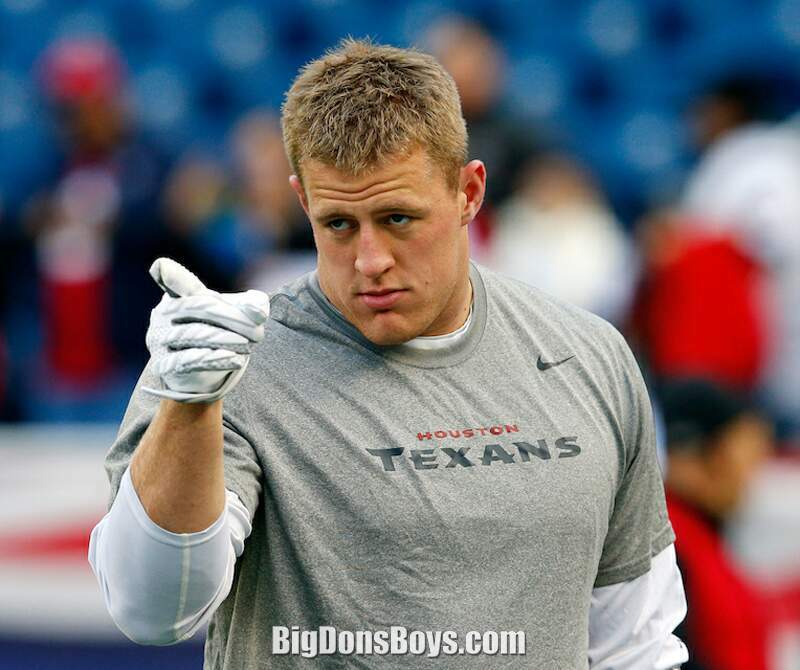 On April 28, 2011, Watt was drafted 11th overall to the Houston Texans. 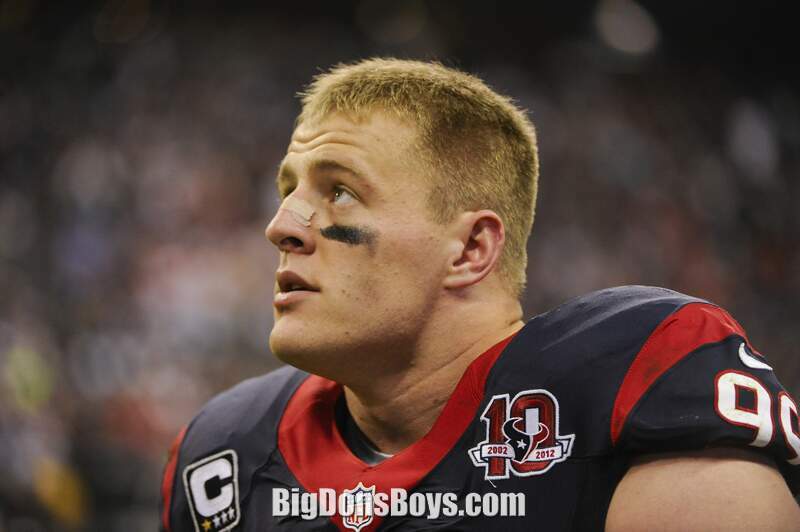 On July 31, 2011, Watt was signed to a four-year contract with the Texans worth $11,237,000, which includes a signing bonus of $6,672,000. 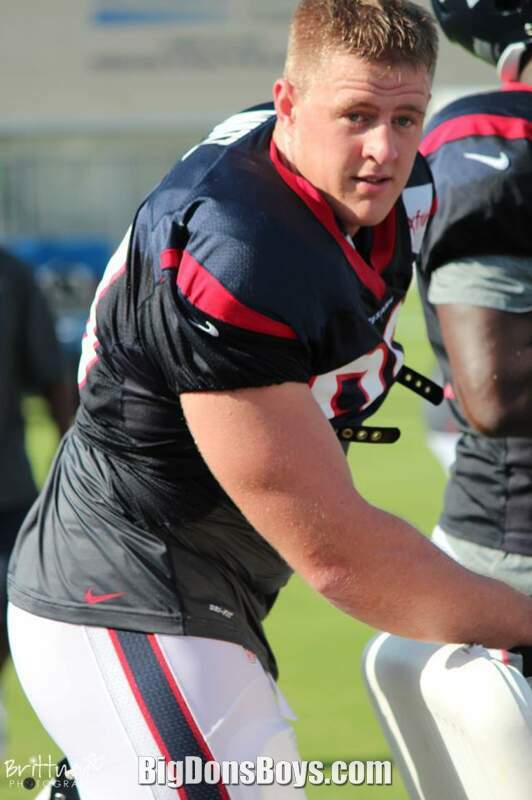 In his first regular season game with the Texans, Watt recorded five tackles (all solo) and recovered a fumble. 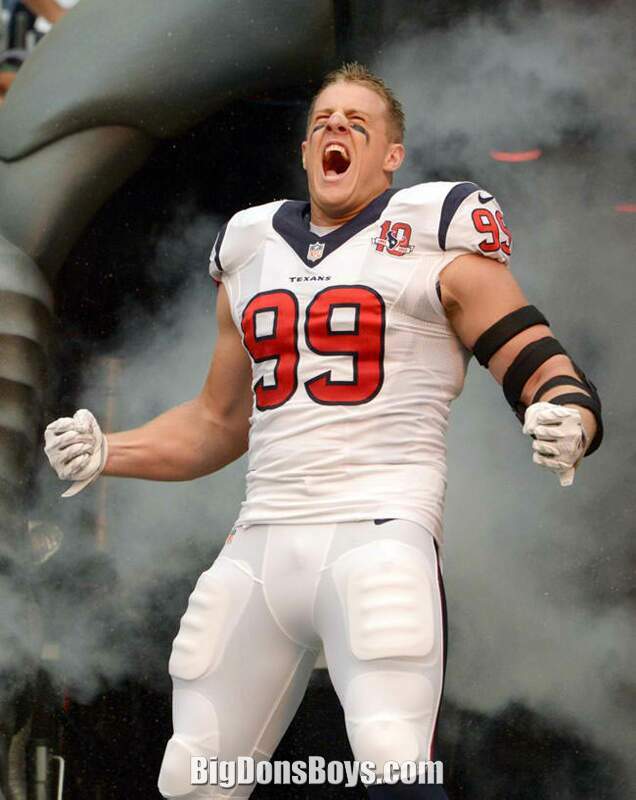 Watt finished the regular season with 56 tackles (48 of them solo stops), 5½ sacks, 2 fumble recoveries, 4 passes defensed, and a blocked field goal. 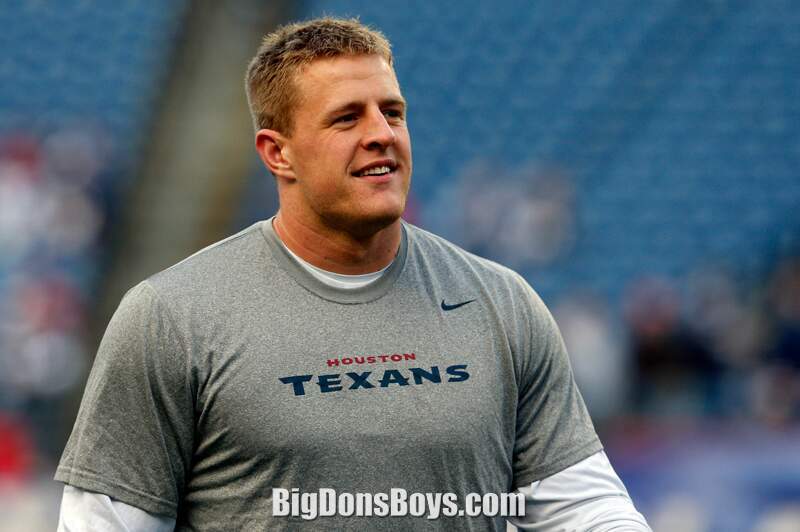 In the Texans' first ever playoff game on January 7, 2012 against the Cincinnati Bengals, Watt intercepted quarterback Andy Dalton and returned it for his first career NFL touchdown to give Houston a 17-10 lead. 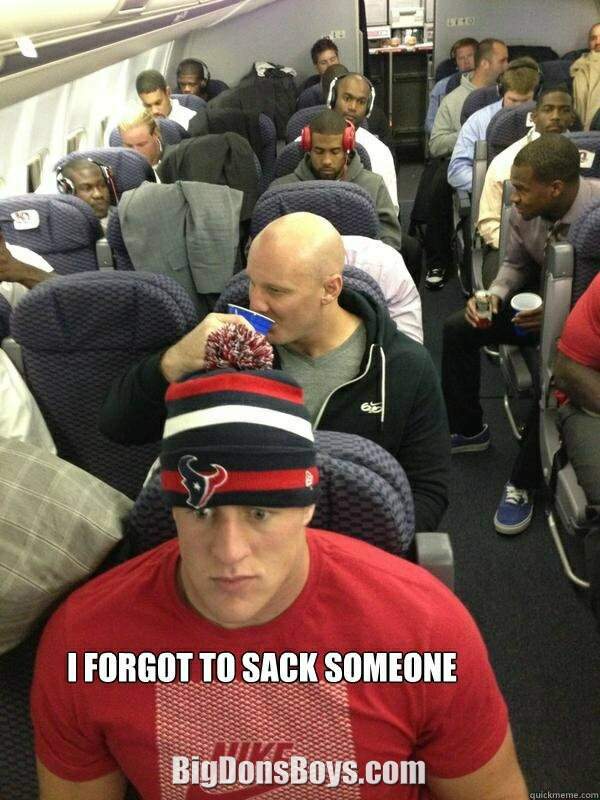 The Texans won 31-10. Interestingly, Dalton had been the quarterback for the Texas Christian University Horned Frogs when they had beaten Watt's Badgers in the 2011 Rose Bowl the year before. 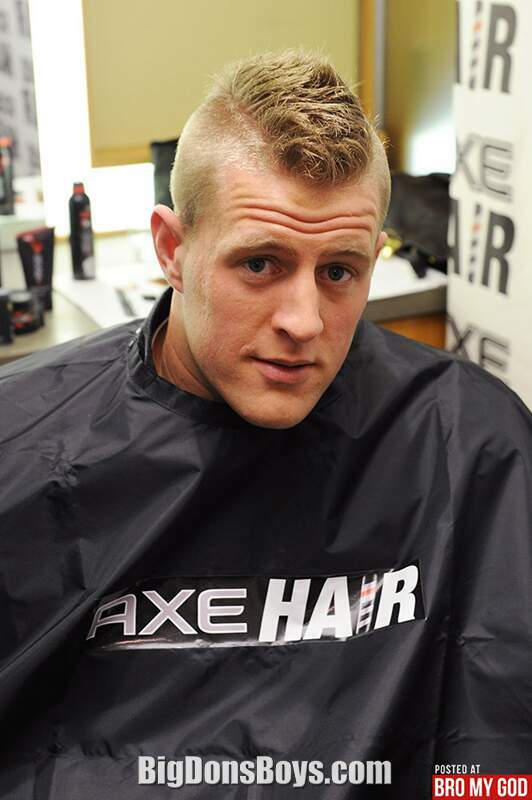 In the Divisional Round against the Baltimore Ravens on January 15, 2012, Watt sacked quarterback Joe Flacco 2½ times, equal to fellow rookie Brooks Reed. 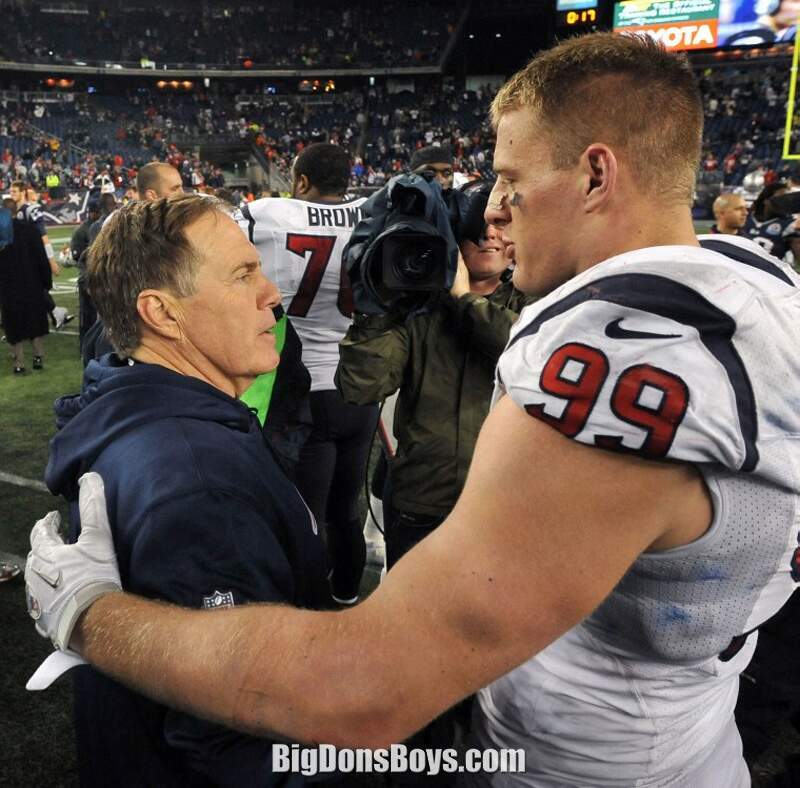 However, the Texans lost 20-13, ending the franchise's first playoff run. 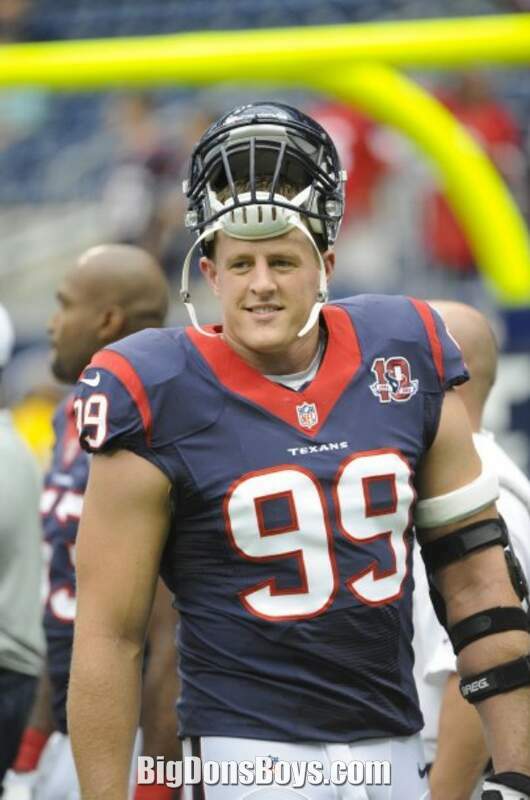 During the week 12 Thanksgiving game against the Detroit Lions, Watt broke the Texans franchise record set by former teammate Mario Williams for most sacks in a single season. 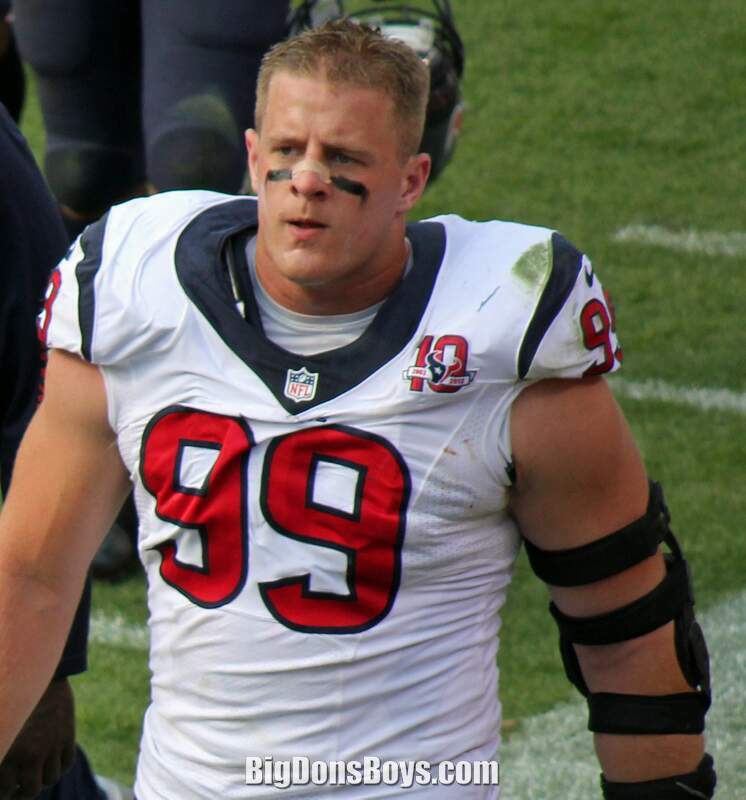 Watt finished the regular season with 81 tackles (69 solo), 20.5 sacks, 23 tackles for loss, 4 forced fumbles, 2 fumble recoveries, and an astonishing 16 passes defended - a statistic usually reserved for defensive backs. Making his All-Pro debut, he was a unanimous choice for The Associated Press All-Pro team. 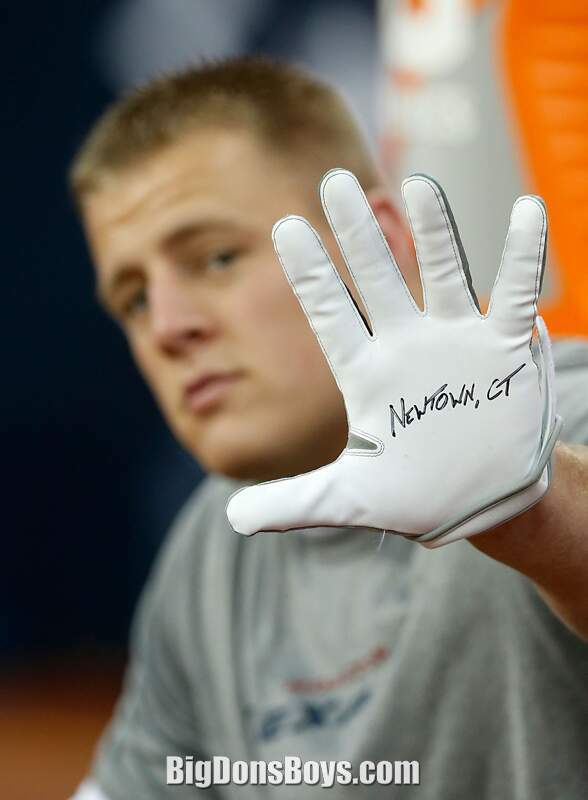 Because of his knack for batting balls down at the line of scrimmage, he was nicknamed "J.J. Swatt" by Monday Night Football commentator and former NFL head coach Jon Gruden. 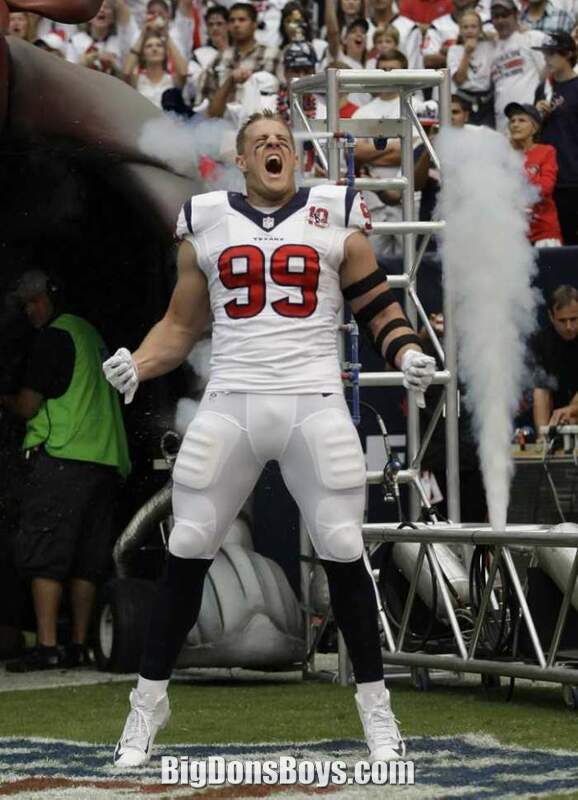 Watt became the first player in NFL history to record 16.5 sacks and tip 15 passes in a single season after a Week 13 victory against the Tennessee Titans. 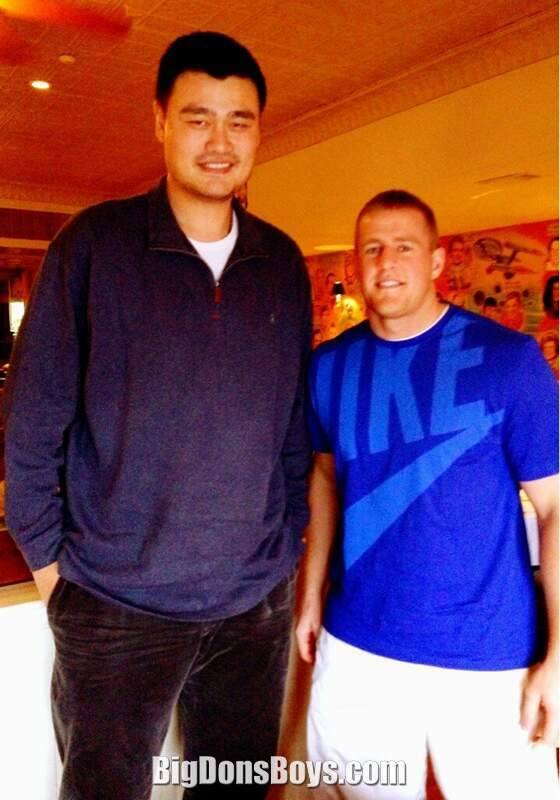 He was a starting defensive end for the AFC Division in the 2013 Pro Bowl. 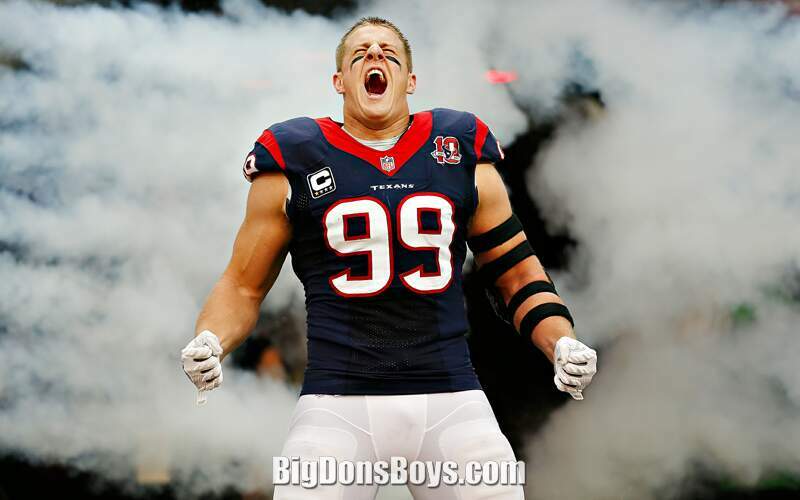 J.J. Watt and the Texans were in the top of the AFC for the first sixteen weeks, but with a loss to the Colts in week 17, with Broncos and Patriots wins, they slid down to the third seed and faced the Cincinnati Bengals in the wildcard round for the second consecutive postseason. 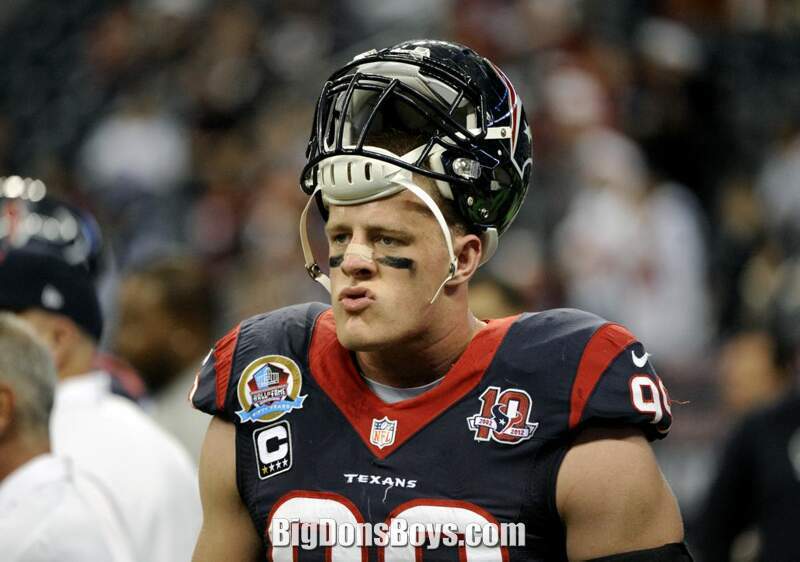 In the game, J.J Watt had 5 tackles and a sack. 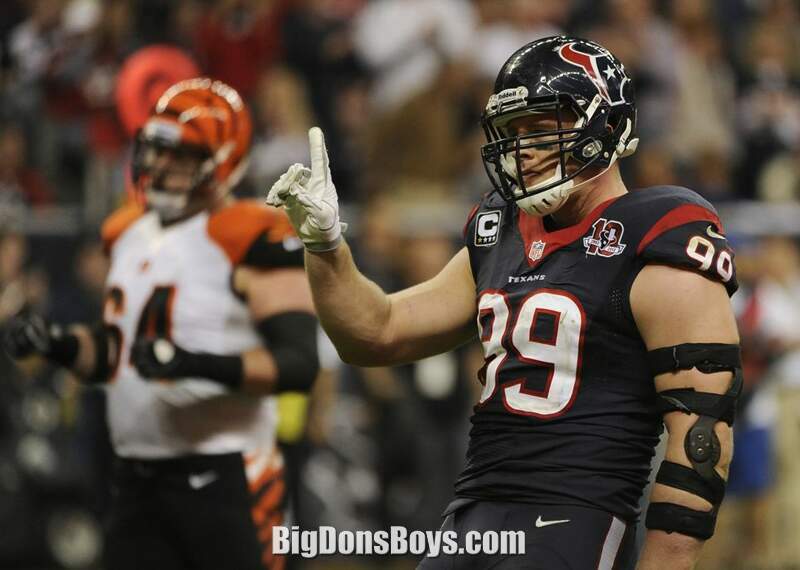 He helped the Houston defense hold Bengals to 6 (offensive) points to give Texans a 19-13 victory. 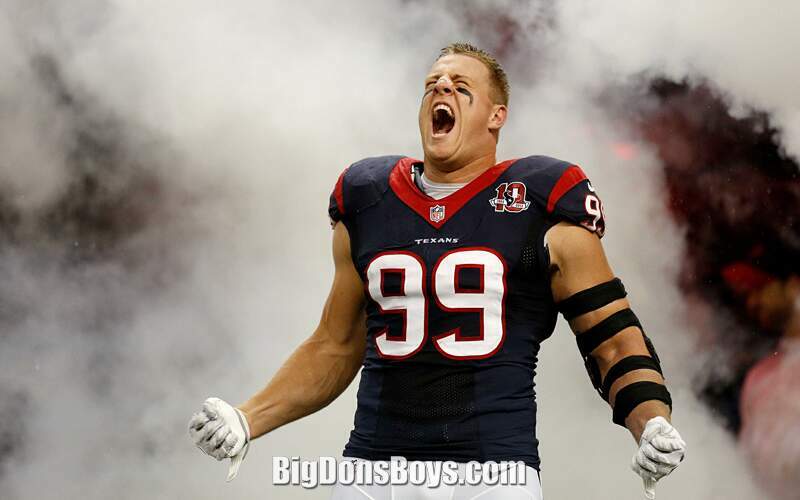 The Texans played at the Patriots (#2 seed) in the divisional round. 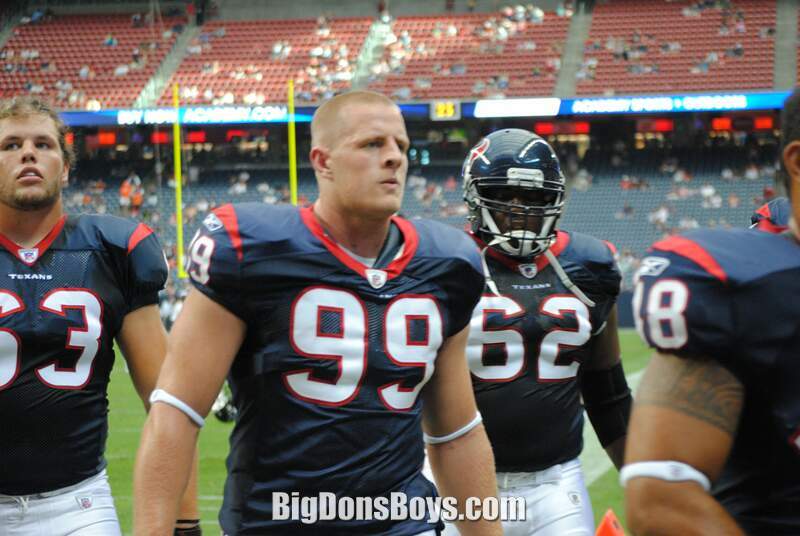 J.J. Watt and the defense were not as dominant in this match and allowed 41 points. 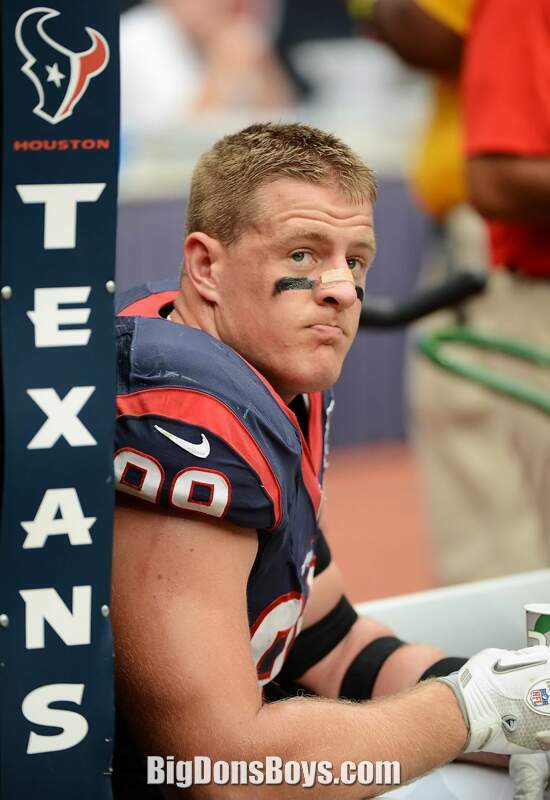 Watt only had 4 tackles and 0.5 sacks in the game, and the Texans were eliminated with a final score of 41-28. 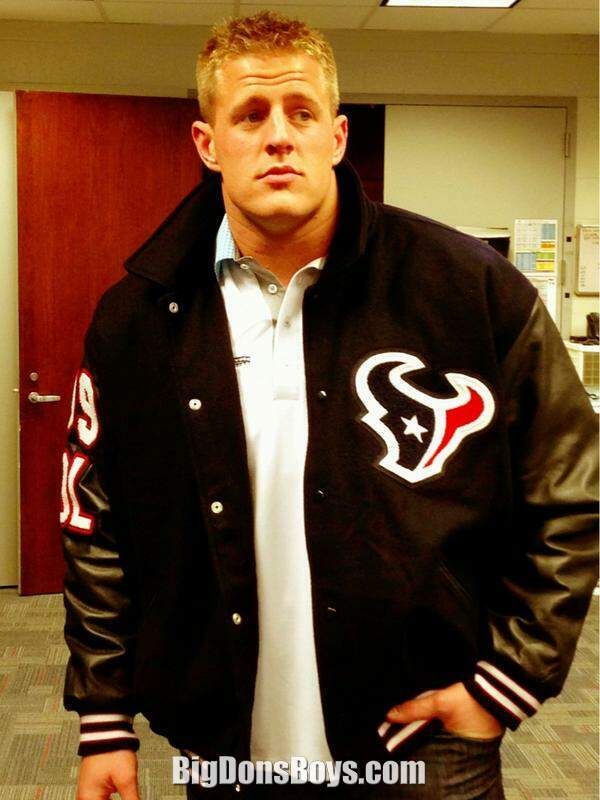 On January 15, 2013, Watt was selected as the AFC Defensive Player of the Year. 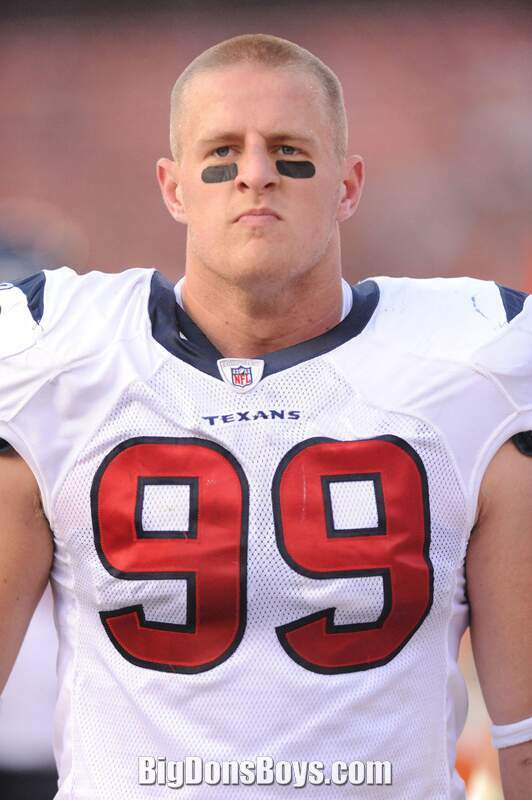 On February 3, 2013, Watt was awarded the AP NFL Defensive Player of the Year, receiving 49 of the 50 total votes. 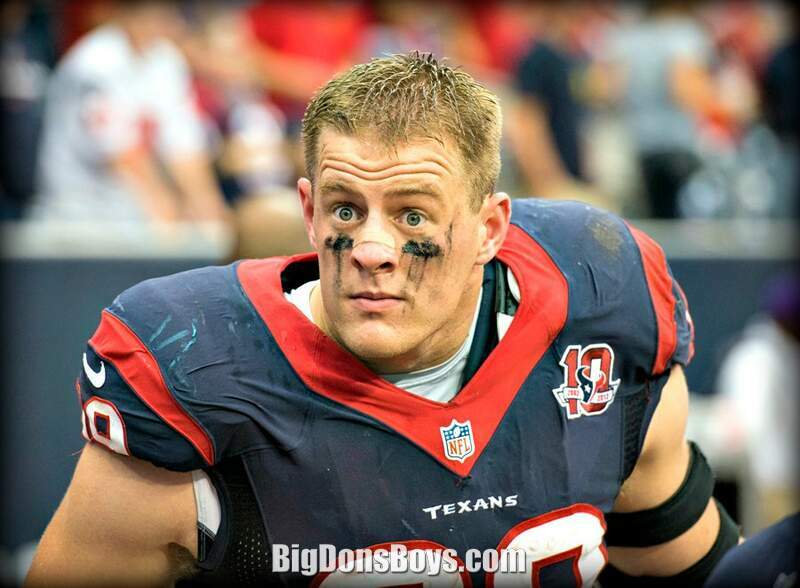 Watt founded and serves on the board of directors of the Justin J. Watt Foundation which provides support to after-school athletic programs in Wisconsin and Texas.